Bolivar Tubo No.1 | Old Morris Tobacconist Victoria BC, Fine Cigars, Humidores and Tobacco Merchantile. 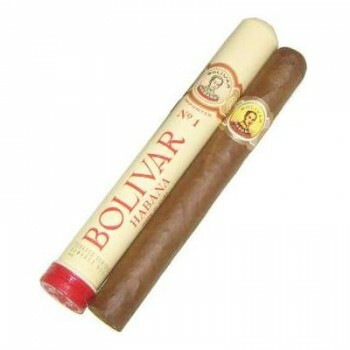 If you like your women hot, mysterious and complex, then the Bolivar Tubo No 1 is the Cuban for you. Blessed with ample spice and earthy assets, this deft 42 ring gauge comes wickedly packed in a heavy aromatic stick of superior construction. Looks great on display in a trophy case, too.